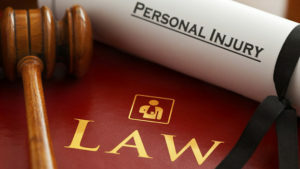 When an accident causes unexpected injuries, the victim of another party’s negligence may suffer in more ways than one. Not only may the injured party be subject to the pain from the injury itself, they may also face the financial burdens of the accident such as high medical bills, lost wages, and more. If the accident was caused by the negligence of another party, the injured party may want to consider their legal options, namely bringing a personal injury case against the person who was liable. If an injured party does choose to bring a personal injury case against another, it is important that they are aware of the statutes of limitations that apply. Statutes of limitations are simply a deadline that is set state-wide for how long an injured party has to bring a personal injury lawsuit against the negligent party. In New Jersey, the statutes of limitations for cases such as personal injury, product liability, or medical malpractice is generally 2 years from the date of the accident. In some situations, the individual was injured due to the negligence of a municipality or another public entity. When this happens, the plaintiff may be subject to file a Notice of Claim, which simply notifies the entity of their intent to bring a case. This deadline is often much sooner than the statutes of limitations. If you have been injured by the negligence of another party, whether it was a private party or a public entity, it is important to discuss with a personal injury attorney.